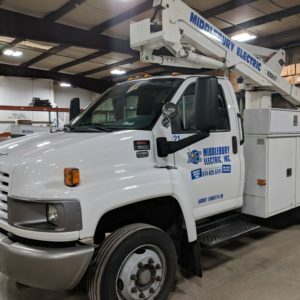 Service & Maintenance - Middlebury Electric, Inc.
Middlebury Electric was built on providing 24-Hour Emergency Service. There is always someone on-call at Middlebury Electric to help with your electrical needs. 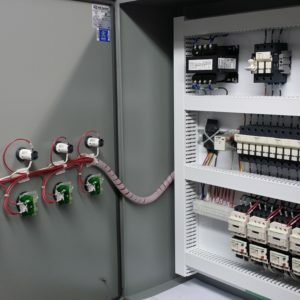 From high voltage to control panels and all electrical applications in between, Middlebury Electric is able to service your electrical needs. An energy audit, also known as an energy assessment, is the first step to assess how much energy your business consumes to evaluate what measures you can take to make your business more energy efficient. Middlebury Electric has the ability to perform an assessment that will show you problems that may, when corrected, save you significant amounts of money over time. Your building’s electrical system may be putting your building and your tenants at risk. Often, electrical systems put off more heat than they should when wiring isn’t done correctly or when systems are overworked. At Middlebury Electric, we are able to minimize that risk by performing an infrared electrical system scan. During the inspection, thermal imaging is used to find any areas of elevated temperatures around breaker panels, switch gears, bus heads, and other components. 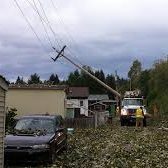 You will receive a detailed report on these issues, along with suggestions on how to resolve any issues that were found, giving you the ability to resolve any issues before your building is damaged. Middlebury Electric can design, tailor, and install new LED lightning systems. Upgrading the lighting system of your business to LEDs makes smart business sense because it will earn you the respect of the business community for your sustainability efforts. Not only will you save money by cutting down on expenses, you will also improve the overall image of your enterprise by creating a positive work environment. Directional boring is a way to get utilities from one point to another without destroying the existing ground or obstacles that are in between the two points. 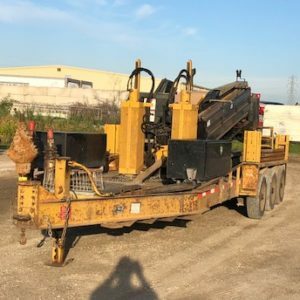 Directional boring goes above and beyond traditional trenching; connecting utilities and services in places that traditional trenching is impossible. During the hydrovac process, pressurized water is injected into the ground through a handheld wand. As the soil cover is liquefied, the resulting slurry is simultaneously extracted by a powerful vacuum and stored in an onboard tank. Middlebury Electric’s hydrovac can dig effectively in all soil types, including clay, and with the aid of onboard heaters, hydrovacs provide a safe means of digging in frozen ground. 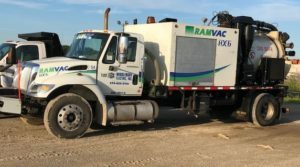 Our powerful hydrovac system can excavate up to 13′ deep and at distances of 26′ from the truck, enabling work to be done in areas of limited access.